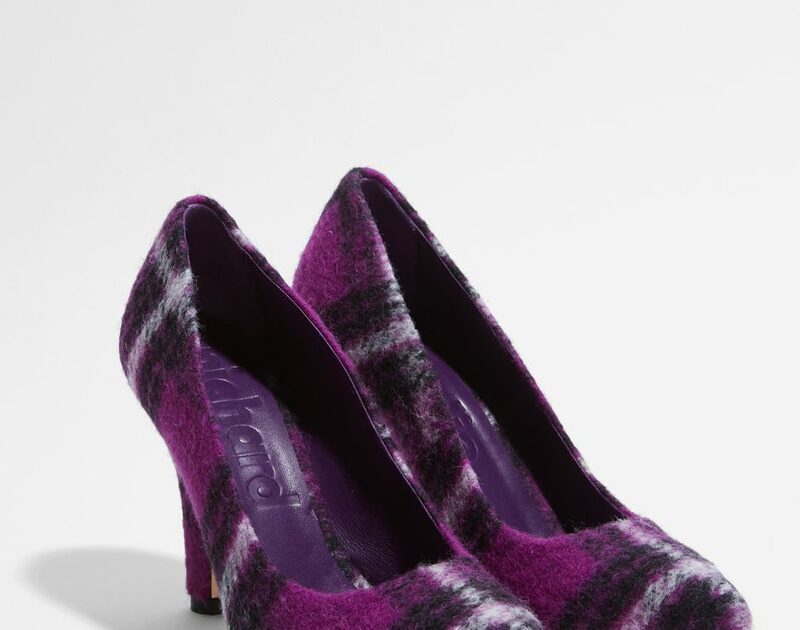 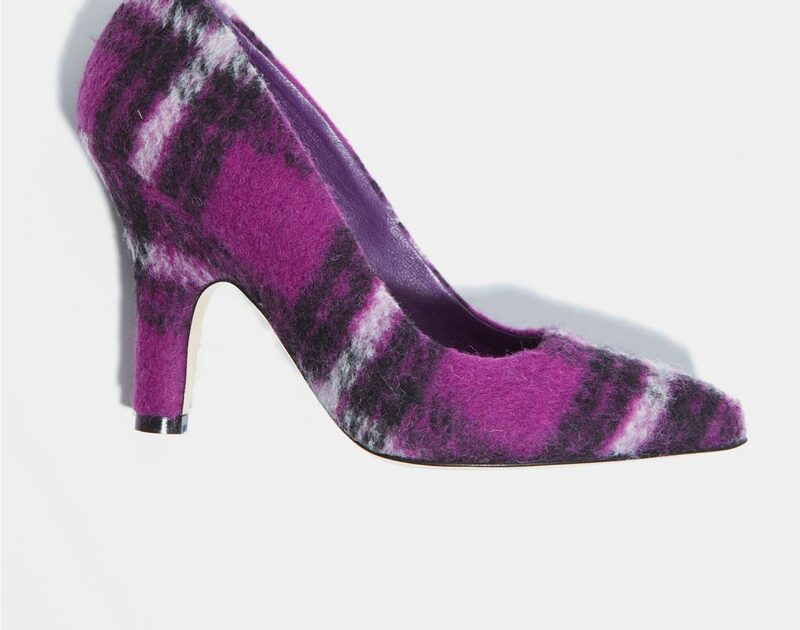 Velvet and black Tartan pumps. 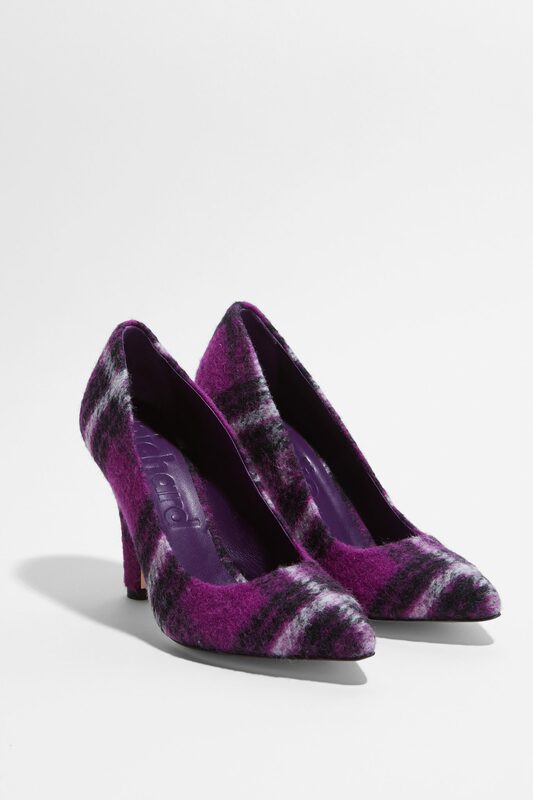 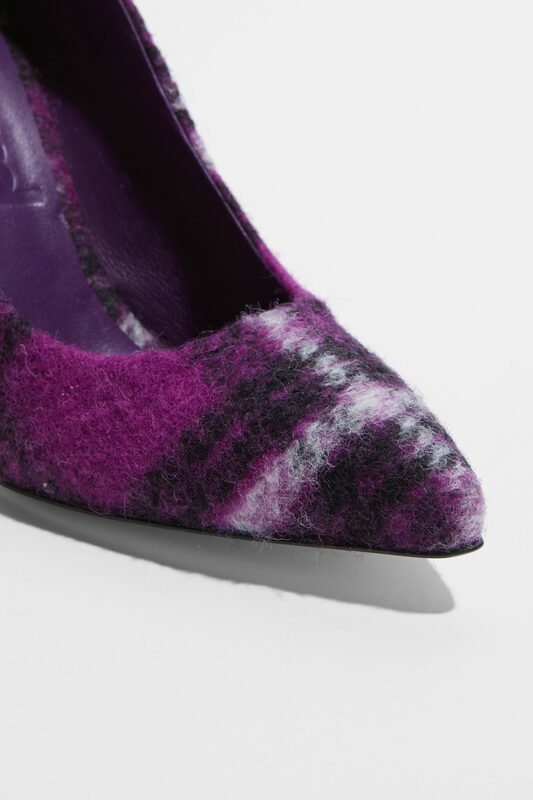 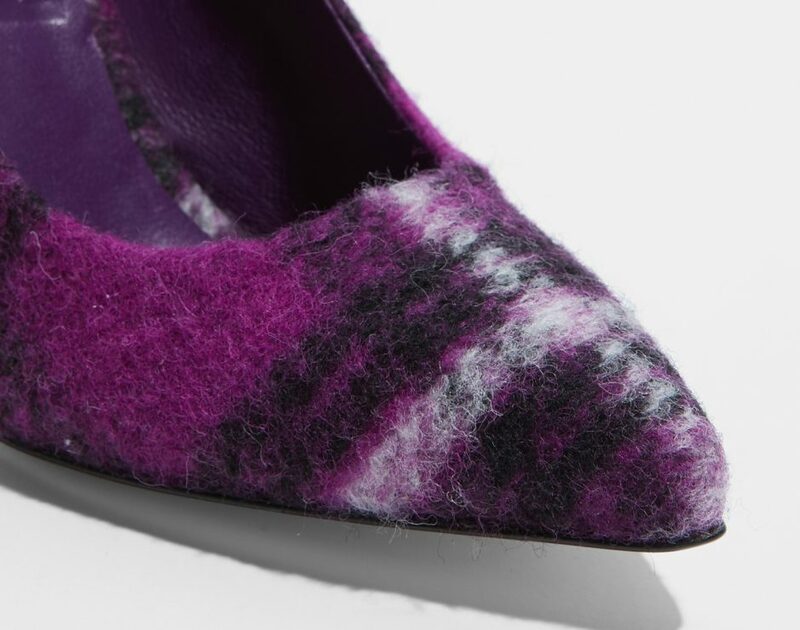 Velvet and black Tartan pumps with a comfortable 4.1in covered heel, pointed toe. 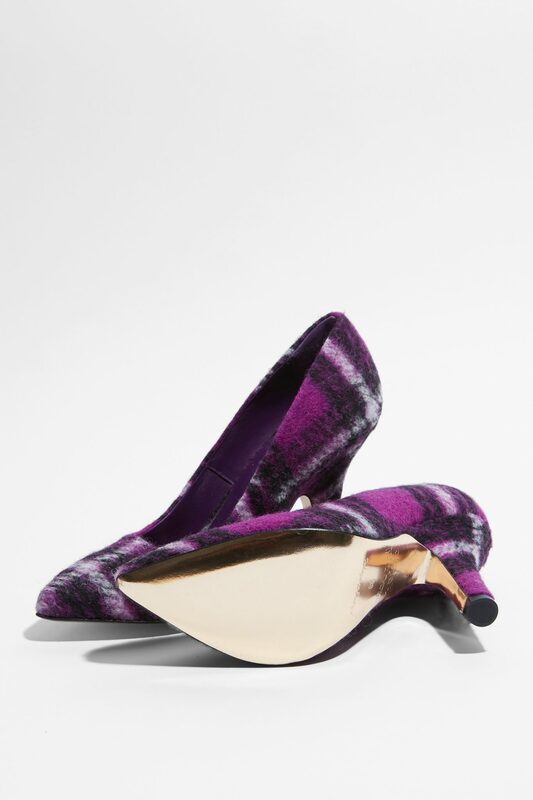 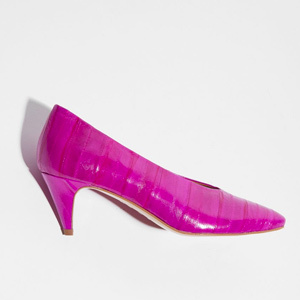 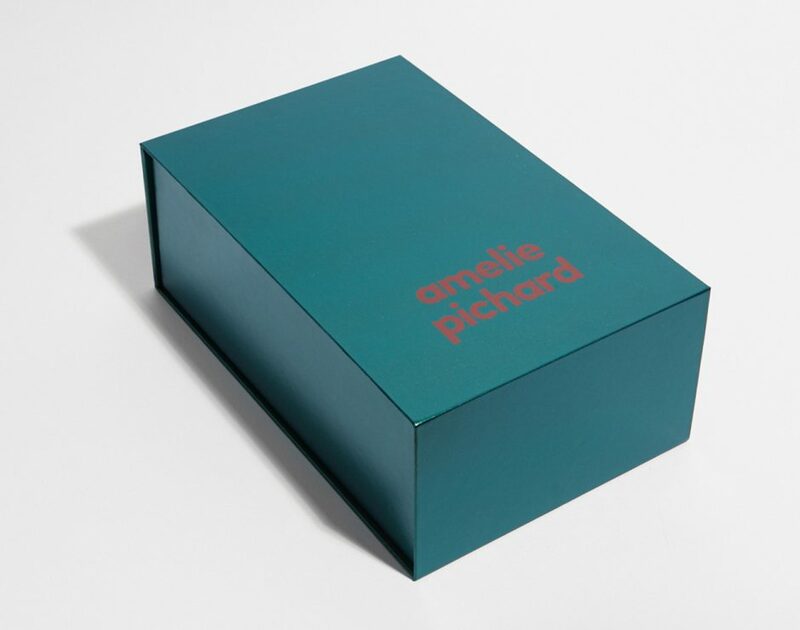 Purple leather lining and iridescent "gold" cow leather sole.